To gain access to the vast mineral wealth of the Democratic Republic of Congo, China sends in disguised military advisers who will lead the “People’s Army of Congo” against the seated government. The US won’t sit back and allow China to overthrow a pro-western democracy, but also doesn’t want open hostilities against China. 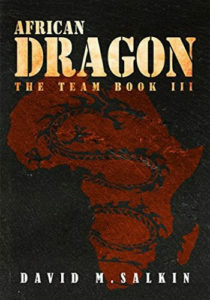 There’s only one way to prevent another African war—send in The Team.